Before we knew Christ—most of us weren’t lovable; rather we were self-centered and focused on pleasing ourselves. Yet God looked down and loved us so much that He gave His only Son, Jesus Christ to die for us. We give thanks because we are loved passionately and unconditionally throughout eternity. It’s hard to think about giving thanks to God when life seems overwhelmingly difficult. However we can give thanks because God will never leave nor forsake us when times are down. He freely gives us wisdom, grace, and strength to move forward in every situation. A grateful heart in times of trouble can be encouraged to trust in the Lord at all times. Every believer has an opportunity to show their gratefulness to God by doing good works for others. It is the Lord who gives us the strength to serve, to give, and to work. When we start our jobs with a spirit of gratefulness, our load becomes lighter and the Lord opens the way for us to share the Good News. The Corinthians gave gifts to God’s people resulting in praise and thankfulness to the Lord. When we have the opportunity to give to others, we experience the joy of knowing the God will be praised because of it. Our God knows the needs of His people and He blesses us to be a blessing to others. Without the grace of God we would all be hopelessly lost. Through the power of Jesus Christ, we are given the strength to rise above our sinful nature and overcome the desires of the flesh. Many of us were saved while still ensnared by the lies of Satan and the strongholds of our minds. Yet through the Holy Spirit, we give thanks for being set free. The world believes in coincidences and luck; however, we trust in the hand of the Lord to work the impossible on our behalf. Because of His intervention in our lives, we’ve experienced miracles both great and small. Every day the Lord is working things out for our good and we give thanks for His ever watchful eye over our lives. Even before we know for sure that God has answered our prayers—we give thanks. We can thank Him for just the blessing of hearing our prayers and answering them according to His will. Our prayers should be just as equally full of praise, worship, and thankfulness as it is for petitions. An attitude of gratefulness ushers a spirit of expectancy in our prayers. It’s a gift from God for us to be grateful because it’s impossible to be discontented and thankful at the same time. There are so many people in the world today who enjoy His sunshine or rain, His provision of food, clothing, and shelter—and they never stop to thank Him. Let the people of God sing His praises in the morning, afternoon, and evening. May we never grow tired of being grateful! This is my daughter. We are estranged at times, most times since i remarried. I moved away from her when she was six yet i kept in contact and sent support money. I made it a poi t to have with me during the summers. Now she is 22, spoiled selfish and disrespectful. but as God loves us no matter what we say or do I love her from here to the moon and back. she dislikes my wife no matter how nice she is to her and my lady is a very loving woman. Thank you Mrs. Johnson for your comment. I sense your daughter is not saved. God does love His own children but unless a person has repented (turned away from and forsaken their sins) and trusted in Christ, God cannot save them. Has this woman done this? If not, pray for her soul or it will end badly (Rev 20:12-15). I would talk to your pastor too. Please forgive me if I misunderstood your question or comment. Have you ever ask her to forgive you for not being there in her life. No matter what happened with you and her father all she know is that you wasn’t there. When a child do not have their parents in their lives especially their mother when all their friends have theirs. It does great emotional and psychological damage. Not to mention you are her mother and you want her to accept another woman you are in relationship with. That is a bit much don’t you think. If your daughter believes that Jesus came to earth and he died for her sins she is saved. Now for her to be free of all the junk the world has attach to us then she need to continue in the study of the God’s word and she will gain knowledge of the truth and that truth will make her free. As I have been reading, I recognize that there are many hurting souls out there. One thing I will say to this is that time heals, and with God all things are possible. Whatever struggles we go through we need to remember God has not forgotten or forsaken us. Infact , he hears every prayer, every heart’s cry. His words says he will be with you always..so no matter what the situation is trust that he is working it out.just give it time. Remember this also, “all things work together for good to them that love the Lord and are called according to his purpose’. .
God is working things out for you..Continue to trust him and be encouraged. .He understands your pain, and he is the one who can heal broken hearts and broken relationships. Whatever you do try not to get stuck in the place of hurt, press on and let God do the rest. .God bless. 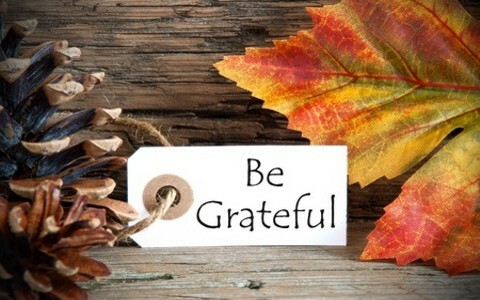 There is a big difference between being thankful and being grateful, yet they are used the same in your passage. Thankful is a feeling and grateful is an action. What does the Bible say about being grateful? Hello Jen. There is only one verse that mentions the word “grateful” (Heb 12:28) but it also seems to indicate a thankfulness or having gratitude about receiving something. When we receive something we say “Thank you” and we are “grateful” so they are close but as you said, not exactly the same. Previous post: What is a Fivefold Ministry? Next post: What Is The Spiritual Gift of Prophecy? How Do You Know If You Have It?